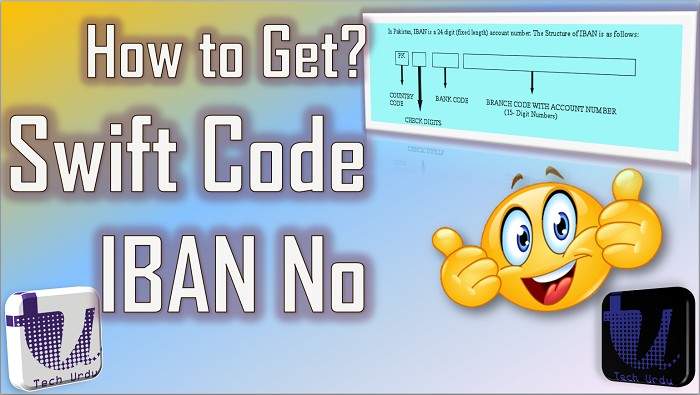 December 21, 2017 March 20, 2019 Naeem Javid	0 Comments How to Get IBAN?, how to get swift code and iban in pakistan, How to Get Swift Code in Pakistan, How to Get Swift Code?, IBAN is of 24 characters, IBAN Number in Pakistan, Swift Code and IBAN, What is International Bank Account Number (IBAN), What is SWIFT Code? What is the International Bank Account Number (IBAN)? How to Get Swift Code? What is Swift Code and IBAN? What is the difference between Swift Code and IBAN? How to Get these? What is the simplest and easiest method to apply these to Adsense, Paypal, Payoneer, Metatrader, or other such online money transaction platforms? In Simple words, you have an Account Number of a particular bank. You can use it to make transactions nationally or locally. But when we talk about Internationally transaction – Normal Account Number changes and coverts into IBAN. Your Account No becomes a part of IBAN and is used for international transfer of money. Usually, IBAN is of 24 characters. But it can be 34, 36, etc. In Pakistan, it is 24 digits and the structure is shown here. Now here comes the big question. How can we get this IBAN? The answer is a piece of cake. You can find IBAN on every leaf/page of your chequebook. Here is a sample. See here is the IBAN written on your Check Book. In this way, you can get your IBAN. In case you don’t have your chequebook. Then simply call your particular bank – the bank where you have your account – and ask for it. Your bank contact can be easily found on Google. You’ll get it after some account verification. While I was linking my AdSense with my Bank I faced this situation (as I had no chequebook) that is why sharing this trick with you. Now let’s talk about SWIFT Code. You national account number changed into IBAN. Similarly, your national Bank code changes into Swift Code and will be used for transactions. These two things (IBAN+Swift Code) combine and complete the criteria of International online money transactions. In my Payoneer Video Tutorial, I have shown you the practical examples of these two. The video is given below. Getting the Swift Code is easy. Just call your Bank and you’ll get it. You can also find it on the web. One more thing, don’t use websites (other than your bank) like IBAN Generator or IBAN Calculator etc to get your Swift Code or IBAN. These sites ask your personal bank information so that you can get your IBAN. Don’t do it. You can get into some sort of problem later on. In Pakistan the swift code for a single bank (like United Bank Limited etc) is same. Which means if your account is in any city of Pakistan you have the same Swift Code. Swift Code and IBAN are explained in this video. The video is in Hindi/Urdu with English Subtitles. Top 3 Alternatives of Google Adsense that you must try.